AOA,All of colleaques and to our hero Mr.Khalid Riaz ,very good news .Umeed hay in future tamam stenographers,stenotypist,PS,koo apna haq mil jay gaa,aur jab FST,kay chairman kaa taqarar howa too depreived stenographers koo bhee apna haq hamray hero ki jehado jahad say mil jay gaa,aik request karta hoon Mr.Khalid Riaz suhaib say kay 23.12.11,say implement karanin per zoor dain q.k.notification ais date koo he howa aur haqdar bhee asi date say hain.w.e.f.koo qabool nana karain. It is indeed a good news but subject to that it is matured too but as the issue is lingering for quite some time so chances of its maturity does not look quite Bright. However, one should not be disappointed and keep on trying their best to achieve this goal particularly for APS/Steno cadre under the leadership of Mr. Khalid. First of all, a lot of congratulation on your promotion in BPS-16 on regular basis. Secondly what is the status of pre-mature increment in punjab. Dear Khalid Sb and all the Colleagues AoA! Sr. Private Secretary.....(BPS-20) changed as Senior Principal Secretary. Hope you will consider my proposal for the career of our colleagues. AOA,to all colleaques,aaj dated:13.5.2014,koo Chief Minister of KPK,NAIN tamam clerical staff 1-16,ki upgradation kaa notification jari kardeia hay,ab notification ki copy mil jay too aus main dekain gay kay stenographers kaa bhee zikar hay kay nahi. AOA,to all colleaques,orders 1.5.2014 ,say implement hongay aus main stenographers,koo bhee upgrade kardia gia hay,BPS-14 KO BPS-16,aur BPS-16,ko BPS-17,main upgrade kardeia gia hay,liqan deprieved kaa koi zikar nahi hay. AOA,to Mr.RahimBaksh suhaib and my all colleaques ,main ajj gia thaa liqan notification ki photo copy within this week mosol ho jay gee too main upload kardoon gaa khalid bhai kay through . Janab Khalid Riaz Sb. AOA Your attention is invited to the fact that all employees are bring paid House Rent @ 45/30% of initial pay of Pay Scales-2008. This allowance has been frozen and paid since last 6 years and not changed till date. It means that during the last 6 years in his head no change is occurred whereas practically the situation is very different. In this meager amount even a house of single room is not available. It is suggested that this issue may kindly be pointed out to the concerned authorities (Finance Minister) through All Pakistan Secretariat Employees Coordination Council, Islamabad so that in the fore-coming budget this allowance may be considered as per market rates. a.rehan bhai kya ye 100 % confirm he k stenos ko bhe upgrade kya jaraha he or notification jald mutawaq he. q k news papers m to steno ko bad me upgrade kerne ka ziker he or CM sb ne bhe enko jald news sunane k kaha he kal. AOA,MR.MASUD AHMAD SUHAIB,AND ALL OF COLLEAQUES,DOONOO SUMMARIES C.M.KPK.KAY PASS GAI HAIN,AIK AUS NAIN KAR DEI HAY AUR DOOSARI PER DISCUSS LIKHA HAY,AB DISCUSS KIS SAY HAY YAY FINANCE DEPARTMENT KPK WALAY JANTAY HAIN,LIQAN AUS KOO YAY ACHI TERA MALOOM HAY KAY STENOGRPHERS ,BHEE HAQDAR HAIN DISCUSSION KAY BAD KAR DAY GAA ABHI NOTIFICATION JARI HONAY MAIN ONE WEEK TAAK LAGAY GAA AUR ITLAQ 1ST MAY SAY HE HOGA. Salam to every body here. A.RAIHAN BHAI DONO SUMARRIES MATLAB CLERKS KI OR STENOS KI, JES ME STENO P DISCUSS LIKHA HE OR RETURN HOGAI HE OR CLERKS KI APPROVE HOGAI. AM I RIGHT? BHAI JO BHE UPDATES HOTI HEN PLZ FORUM P UPDATE KERT REHNA OR AGAR HOSAK TO MER CELL P SMS BHE KER SAKTN HEN Q K KHUCH DOST BAR BAR RABTA KERTN HEN. 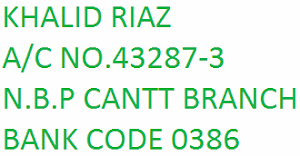 MY CELL NO IS 03459139871. THANK U. This is only a loly pop for employees, prior to this a docket was floated on this forum under head "good news for b-1 to B-16 employees" till today no result. Establishment has put the ball in the court of Finance Division and will give reply to all concern that we have asked the Finance division for solution of time scale etc. please wait for. Chief Minister Punjab Mian Shahbaz Sharif has approved the summary on Sunday 18th instant of Time Scale Promotion of Punjab Government employees, now, every will promote automatic after 10 year in next Grade. Thank you for your giving information regarding the Time Scale Promotion in Punjab. Secondly please convey the information regarding the pre-mature increment case and also inform us through this forum that the employees who have recently upgraded (23-11-2011) i.e. stenos will get benefit of the time scale formula or is there any condition on upgraded employees. Salam to all colleagues. Can any body share kpk stenographer's association cabinet member contact no or any other relevant source. Thank you. 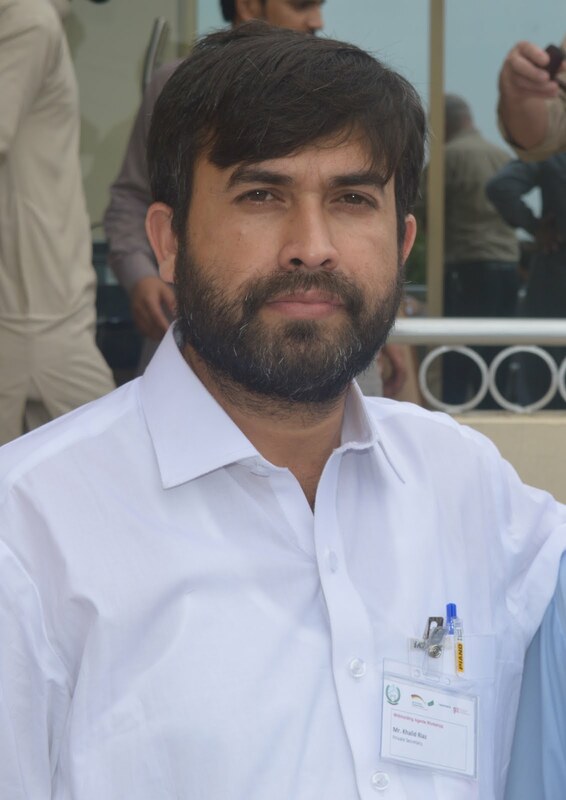 A. Rehan Asslam--o-Alaikum ! kya kpk nay stenographers ki summary per kya itraz hai. or ki tara upgradation ho rahi hai. comments please. 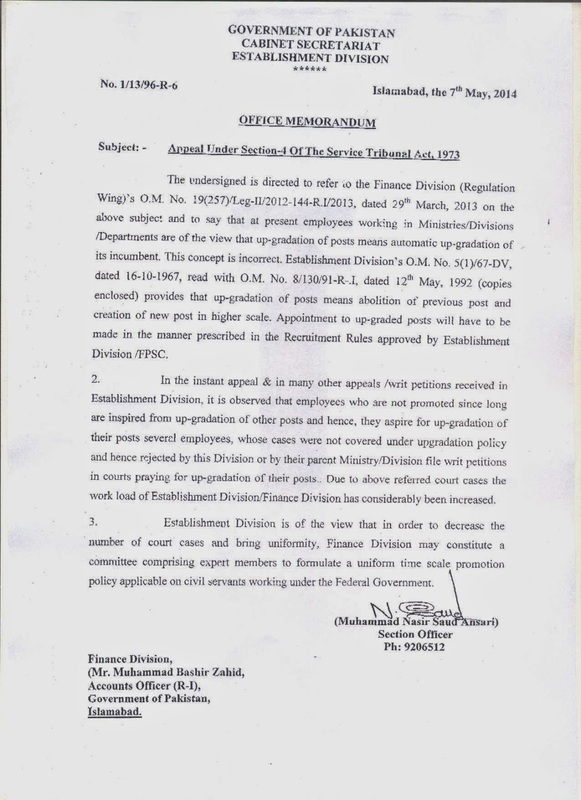 Salam, Khalid bahi and other also of the forum, This was exact time for demand of time scale because the establishment division has already issued letter to Finance for making a committee regarding up-gradation/time-scale of federal government employees. Our request is genuine but once think kept in my mind that our demand should not only for time scale for PBS-16 to BPS-17 after 3-years service, our demand should be like PS (5-years BPS-17 to BPS-18 and 10-years service in BPS-17 to BPS-19), it should not be at the end and the same will BPS-16 to BPS-19. Congratulation to all KPK Ministerial/Clerical Employees on their up gradation. any information about Stenographer up gradation in KPK? Congratulation to you on up gradation as SSS. Will any body tell that stenos in what category fall. Whether technical or non technical. Because whenever clerks are upgraded we are always kept a side. The stenographer are technical staff and they always up graded Asstt. BS-7 Steno BS-8, Asstt. BS-11 Steno BS-12, Asstt. BS-14 Steno BS-14, KPK Asstt.BS-16 Steno BS-14, They are not united but clerks Associations are united.